The 2010 Estonian Chess Championship in the format of 10-player round robin was held from 27th March to 2nd April in Tartu. In the final round, GM Kaido Külaots held his main competitor, six-time national champion IM Olav Sepp, to a draw and claimed a clear first place with 7.0 points from nine games. This is the seventh title of Estonian champion for Külaots, who previously won in 1999, 2001, 2002, 2003, 2008 and 2009. 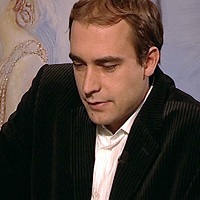 IM Olav Sepp and GM Meelis Kanep (champion in 2004, 2005 and 2007), shared the second place with 6.5 points each. Vahtra Tuuli won the Women’s chess championship by also collecting seven points from nine rounds. Narva Triin and Regina Narva share the second and third with 6.5.